On Wednesday evening, maritime police succeeded in rescuing a windsurfer who was pulled out to sea by the undertow near Haifa. The windsurfer was one of three windsurfers who were pulled out to sea by the wind and undertow in the Mediterranean Sea. The incident took place near Shikmona beach. 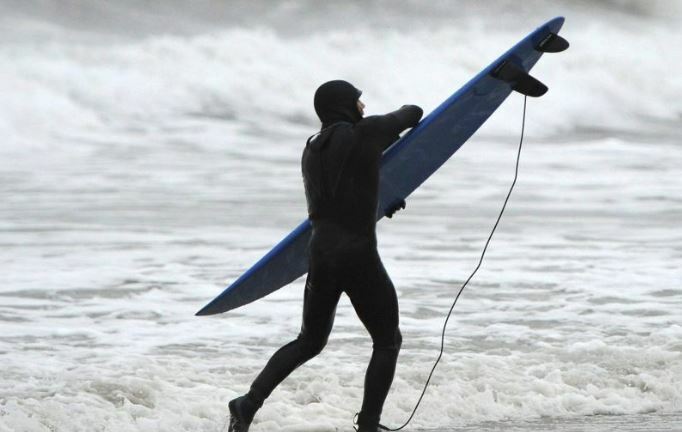 A beach-goer on the coast saw the three windsurfers disappear over the horizon. He sensed that the windsurfers were in trouble and called for emergency assistance. The police maritime rescue boat was dispatched and began searching for the missing windsurfers. Police used specially equipped night vision gear as well as other lighting apparatus to locate the windsurfers. After a short while searching for the athletes, police located one of the windsurfers a mile-and-a-half away from the shore. The 40-year-old windsurfer was rescued and the other two made it back to land under their own power. I’ve windsurf at Atlantic City for almost 20 years. The sea is very, very treacherous. On one occasion I went out in the bay about 1/2 mile from shore. There was no one around at the time. The day was sunny , warm with a calm wind and waves. I lost control for a moment of the rig and fell into the water. I attempted to swim to the rig and recover. Unfortunately, the tide swept the rig away. I attempted to swim to the shore—I was very, very tired and only by occasional floating and resting did I finally succeed. There after, I use a safety vest at ALL times regardless of the seemingly SAFE conditions. Be very, very careful of the sea.